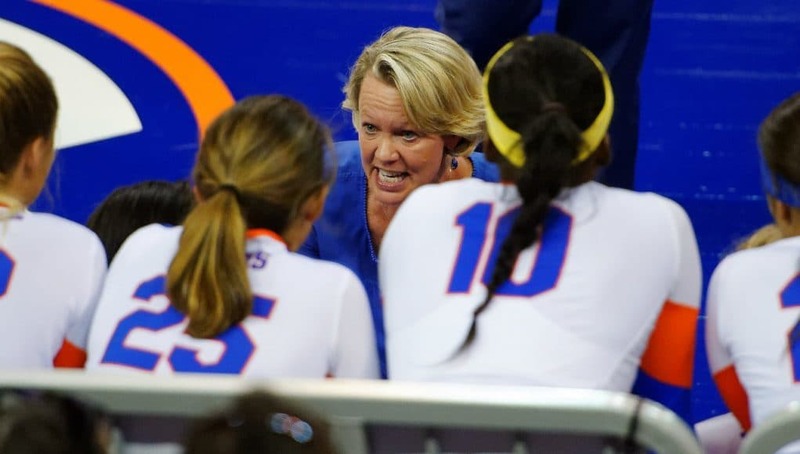 GAINESVILLE, Fla. – The Florida Gators will travel to Orlando, Fla. for the first & second rounds of the NCAA Tournament, as announced during Sunday night’s selection show. 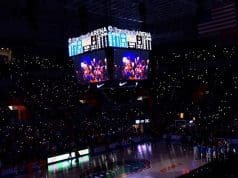 The Gators will play Florida State on Thursday, Nov. 29 at 4:30 p.m. UCF and Florida Gulf Coast make up the remainder of the bracket and will play at 7 p.m. on Thursday night. 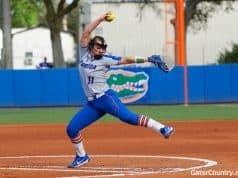 The winner of Florida vs. FSU will face the winner of UCF vs. FGCU on Friday night at 7 p.m.
Florida finished the 2018 season with a 24-6 record overall and a 15-3 record in conference play. 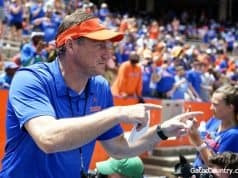 This is the first time since the 2011 season that the Gators will not host the first & second rounds in Gainesville, Fla. Florida defeated Missouri in the first round that year, then took down host UNI to move on the regional semifinal in Gainesville, Fla.
Tickets can be located at UCF Ticket Office’s website. o Match 1 (Florida vs. Florida State) – 4:30 p.m.
o Match 2 (FGCU vs. UCF) – 7 p.m.
o Winner of Match 1 vs. Winner of Match 2 – 7 p.m.